I tried to learn all that I could prior to starting the PCT, but did little overnight backpacking with my new gear. I did know how to set up my tent and to use my gear. Knowledge is not enough. Everyone needs to actually use their gear under field conditions to learn what works and what doesn’t for them. My first training trip out I lost my spork. Just one of those careless acts of setting it down and walking off. Since then I always return my spork to my cooking pouch. That way it isn’t small enough to be overlooked while packing up camp. Experience helps build that routine into a good habit. Leaving a spork behind is not a “life or death” situation. Leaving behind your only matches could be life threatening under hypothermic conditions. Experience also teaches you how to estimate how much water to carry between water sources. This will vary on the distance, the elevation, the weather, and how much water you’ll need if you are going to dry camp. I can remind you of all this, but it is your own experience that will make it part of your routine. Now that Southern California is warming up, your experience in estimating water requirements is a lifesaving skill. Experience also helps with time management. I like to pick out and set up camp before sunset. In the daylight I can find that small rock that was going to be under my sleeping pad or the ant nest that would have ruined my evening. My experience helps me to estimate how far to hike with the remaining daylight before I need to hunt for a campsite. This is certainly not a lifesaving skill, but certainly a skill that makes my backpacking more enjoyable. Experience helps me be more efficient in setting up/breaking down camp. That leaves me more time to hike and enjoy the reason I am out on the PCT: to see and experience the great outdoors. I would rather spend an extra half hour enjoying the view from the mountaintop instead of an extra half hour rounding up all my camping gear in the morning. Aren’t we all on the PCT for those mountaintop moments and not the time-consuming hunts for that last missing tent stake? In the thru-hiking world pack weight is so important. Again, experience will help with trimming down your pack. After a few short practice trips, you will find out that you never used that multi-tool or that big towel. You can then leave them out of your pack and go with a smaller/lighter version. I found out that I wanted to bring a small, lightweight tripod to take better photos. My photos never do justice to the great panoramic views from the trail, but a tripod helps me take better photos to share with family off the trail. Experience will help you tailor your gear down to what works best for you. In my opinion experience is most important in your safety. Everyone needs to understand what a near miss is. It is that one situation that you got into and survived but could have gone horribly wrong. My wife hates it when I say, “Any adventure that you live to tell about is a good one!” Let’s say you’re hiking a high mountain ridge and the weather was clear but now is clouding up. Just after you descend the ridge it starts raining and lightning strikes the very ridge you just left. Makes for a great story, doesn’t it? More important is to recognize that your near miss could have been a terrible experience. In the future recognize the same circumstances and avoid them. Let’s look at another scenario. As thru-hikers we all will have to ford streams. 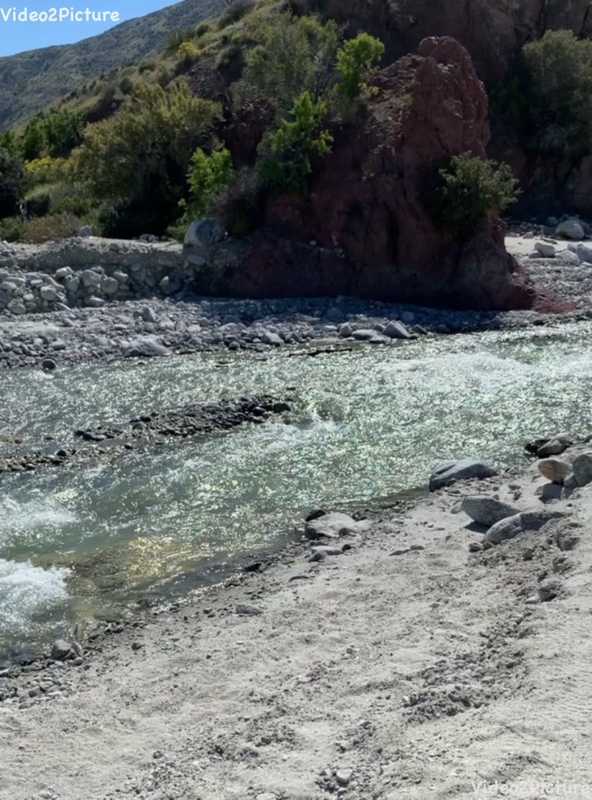 This past week I had to cross the Whitewater River in Southern California. The river was knee deep and flowing fast. If I slipped and got soaked, then it would not have been a problem. I had unbuckled my hip belt prior to crossing. If I tripped, then I could slip out of my pack without it weighing me down. It was also a sunny, 75-degree day. It would have been easy to dry out all my gear. Now that simple river crossing could have been a life-threatening event if it was an overcast, 35-degree, windy day. Kelly “Ibex” Floro posted a great article (https://thetrek.co/10-ways-stay-warm-avoid-hypothermia-trail/) on how to avoid hypothermia on the trail. Thru-hiking or section hiking the PCT is a life-altering experience. It is why we are all out here backpacking. Pushing to discover our limits and prove to ourselves that we can overcome. To do what mere mortals cannot do. To see the beauty and grandeur of nature that very few people are lucky enough to see. Every hiker needs enough experience to recognize potentially hazardous situations before you get in over your head. We need to only exceed our limits when failure will not be catastrophic. This winter has been a snowy winter in the Sierra. The last snow report that I read said that this year’s snowpack is around 150% of average. During the last high snow year, 2017, there were several fatalities in the High Sierra. Get the training and experience to expand your limits. Don’ t become a statistic. My first love has always been the outdoors. I grew up exploring the woods, camping, hiking, and fishing. My first paying job was as a fishing guide. In college I majored in Fisheries and Wildlife Management. For 2 summers in college I worked for the National Park Service. After college I was the Superintendent of the first Environmental Education State Park in Arkansas. Once I became a father, I took a better paying job with the US Army and moved all over the world. I retired from 36 years working for the US Army. 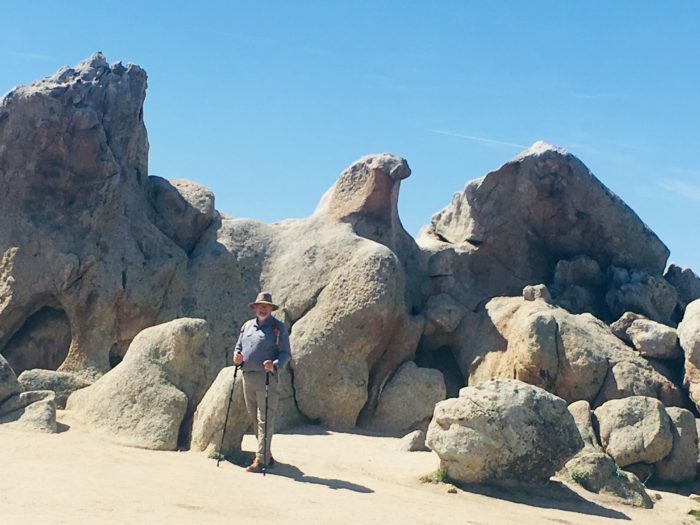 I define retirement as: Where I get to pay myself to do exactly what I want to do – hiking.